Food storage is a wise investment for future individual and family stability. Many believe the idea of food storage is for extreme disasters, but there also are many everyday reasons to put extra food away… especially in uncertain times. Visit https://www.holisticsurvival.com/podcast-with-holistic-survival.php. We are all subject to events beyond our control. Electrical blackouts, unexpected unemployment, or natural disasters casino online such as floods, earthquakes, tornadoes, etc. which are common occurrences worldwide. By the time these emergencies strike, the time to prepare has passed. 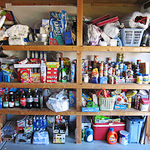 Food storage is a form of insurance protecting your family from the unexpected. Listen to this episode of The Holistic Survival Show as host, Jason Hartman, interviews expert Karen Varner on the importance of preparation and the details needed to create a reasonable food supply to provide the utmost sustenance for you and your family during uncertain times. HS 2 – Emergency Preparedness: Are You and Your Family Prepared for Disaster?